Approved for protection against fatal lung disease. 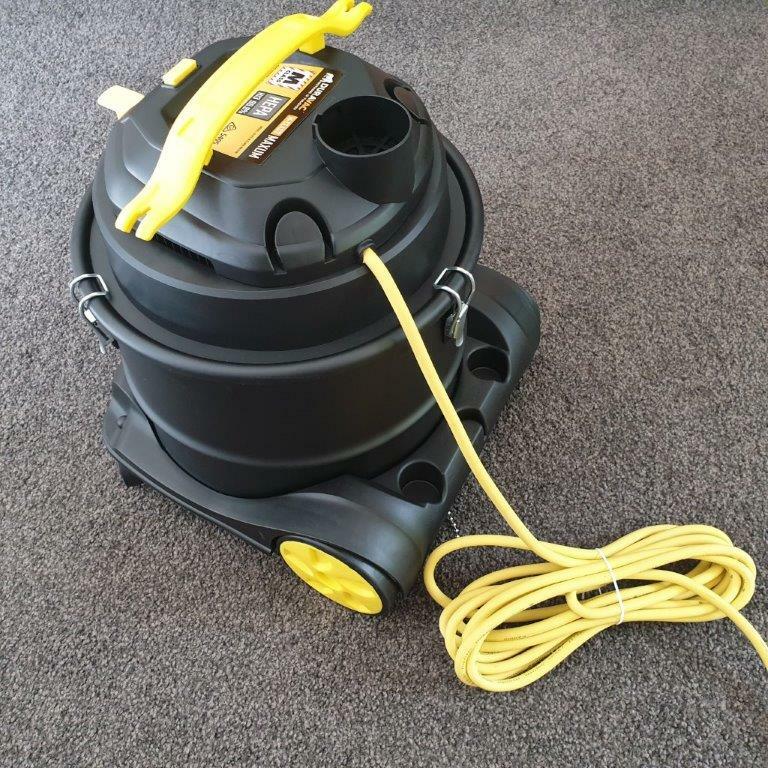 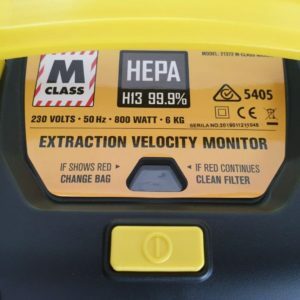 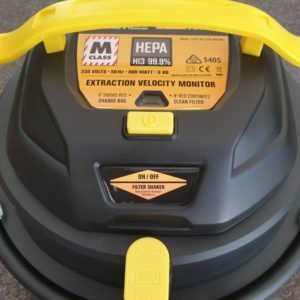 To sufficiently extract dust at source you need a minimum extraction velocity of 20 metres per second. 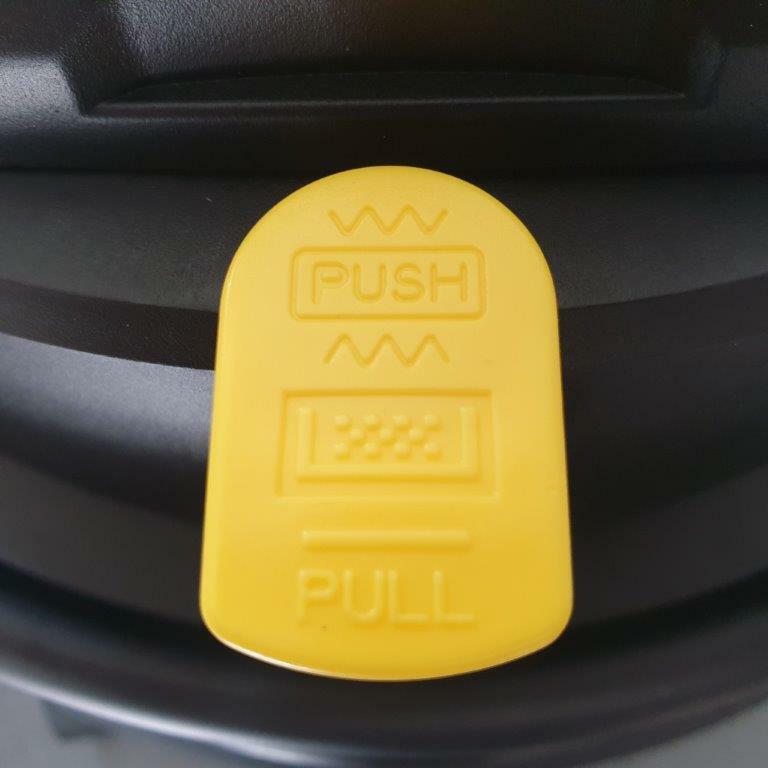 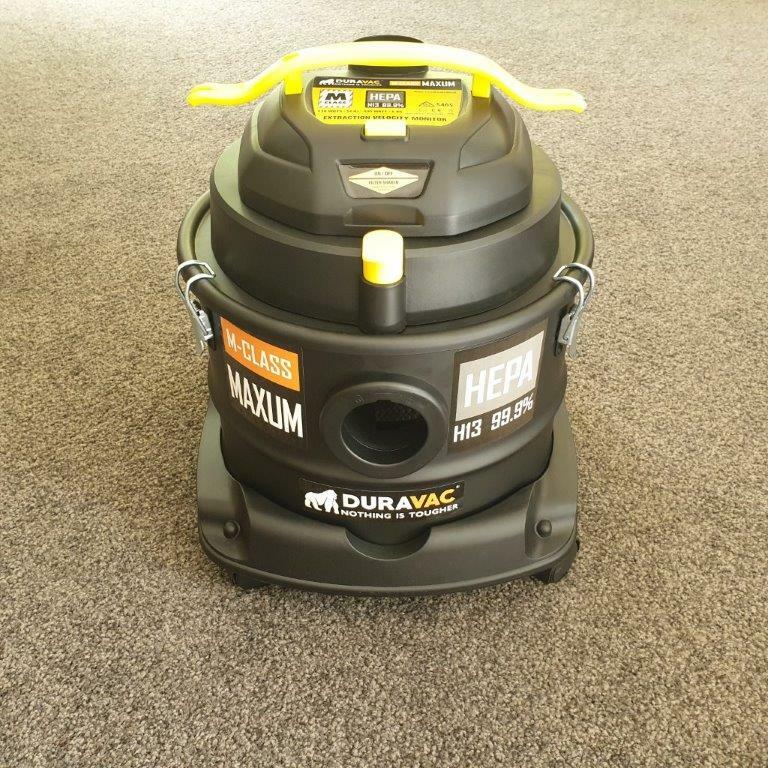 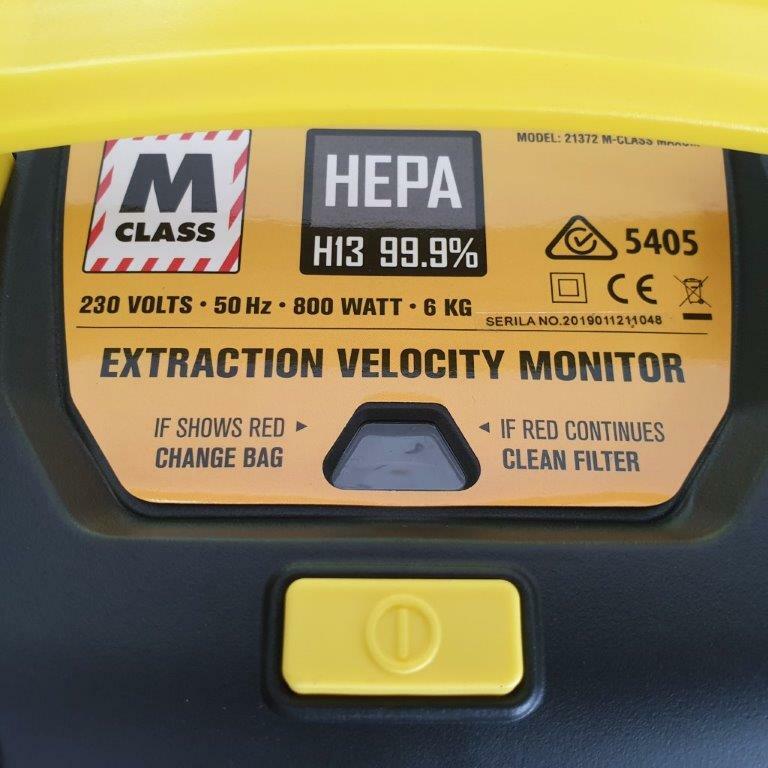 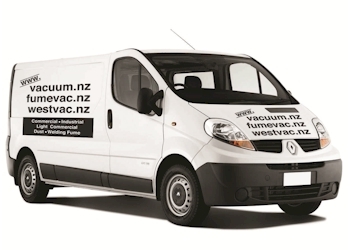 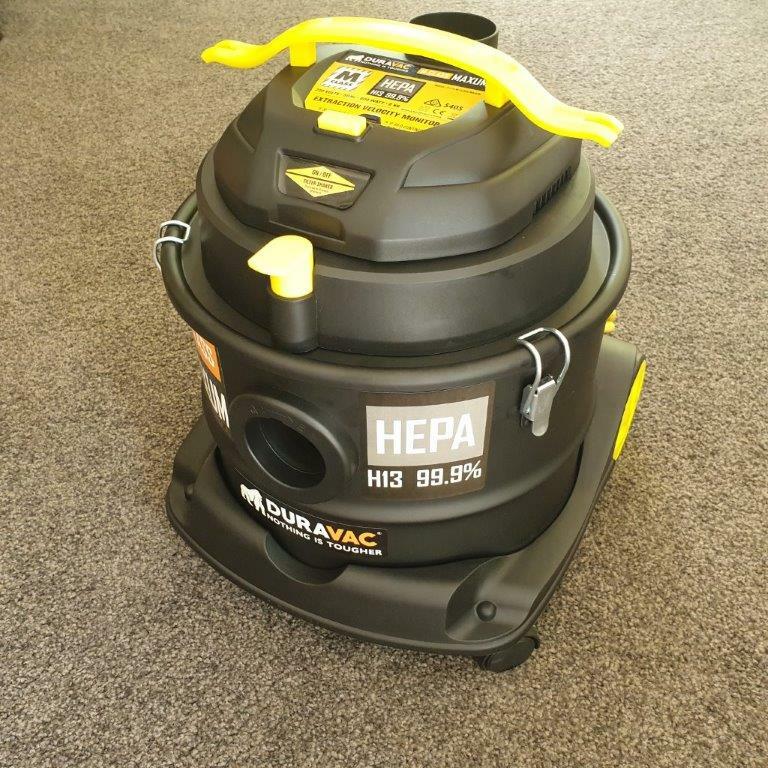 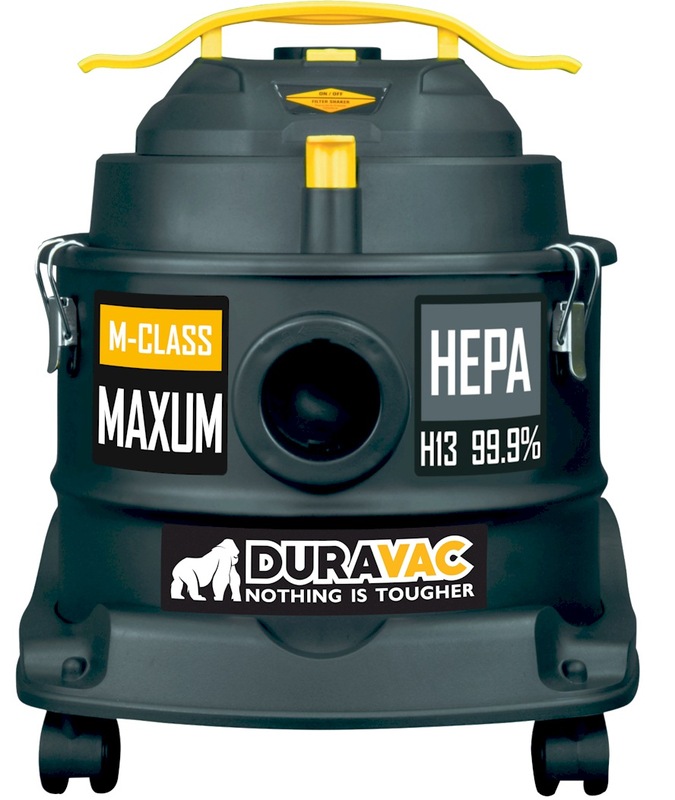 The DURAVAC M-CLASS MAXUM will notify you if the air flow drops below this level to keep you working efficiently. 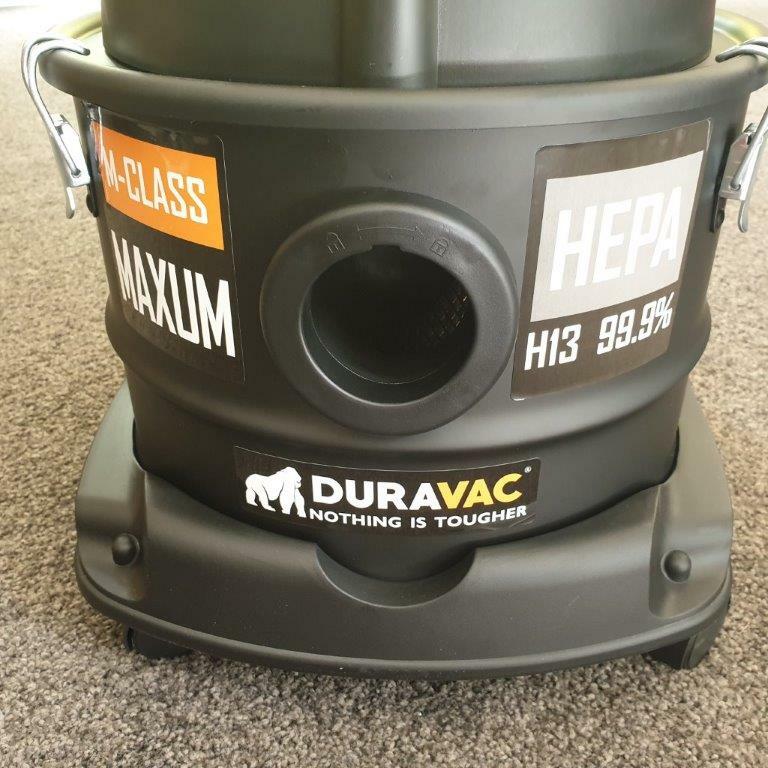 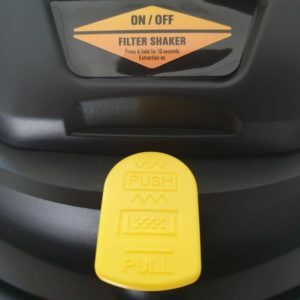 The DURAVAC M-CLASS MAXUM helps you to unclog the filter without exposing yourself to harm dust by using an integrated Filter Shaker System. 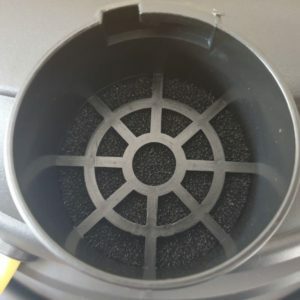 And if you never need to give the filter a good deep clean: simply remove the filter and place it in the dishwasher! 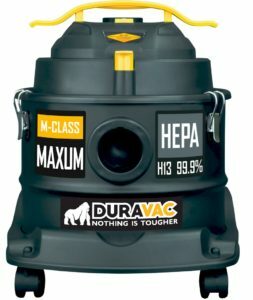 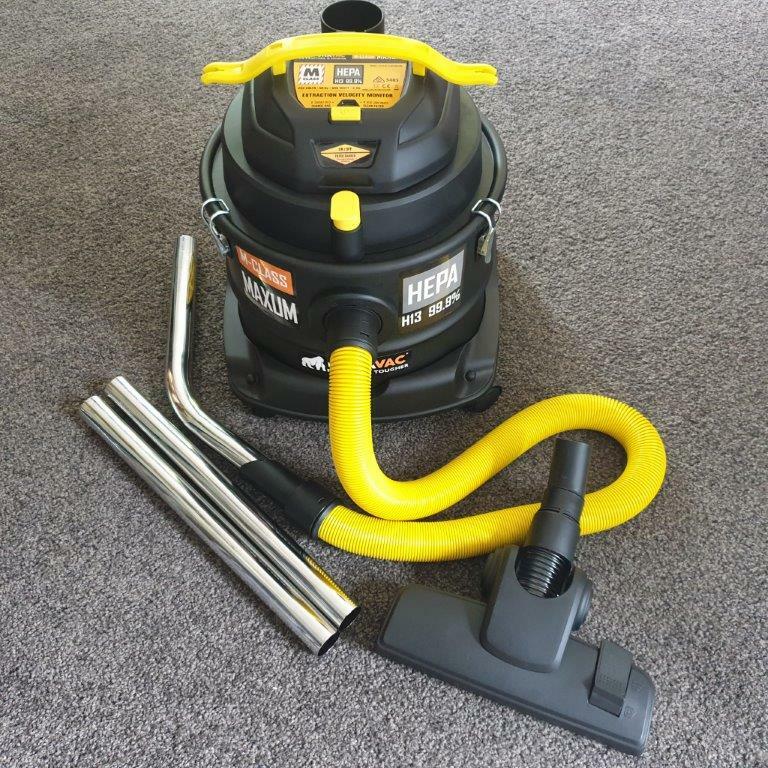 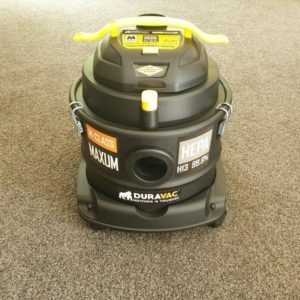 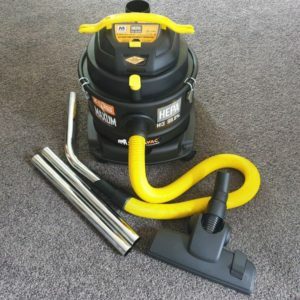 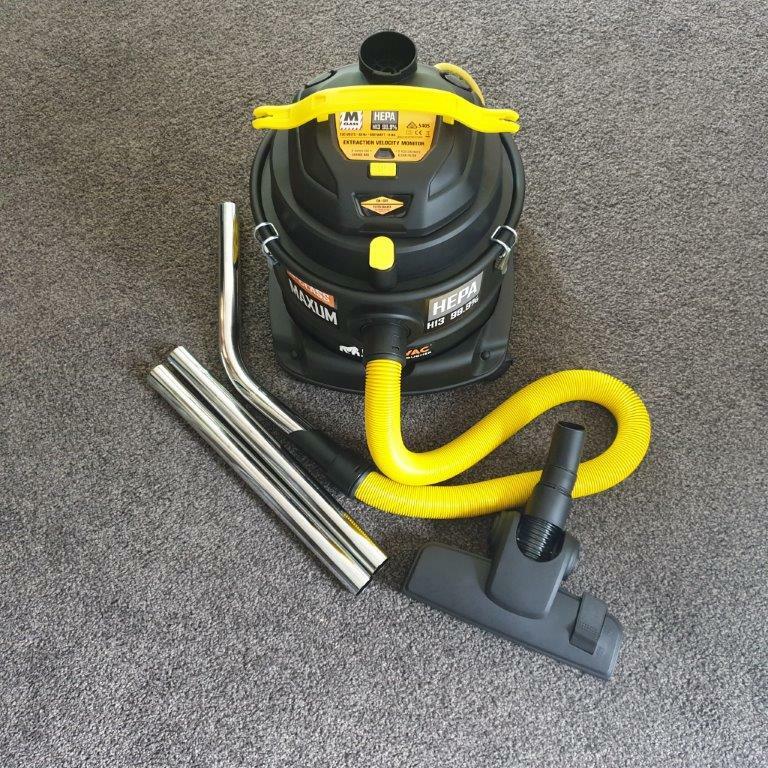 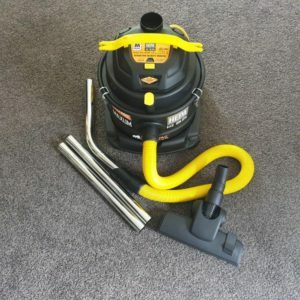 The DURAVAC M-CLASS MAXUM comes with a universal power tool connector enabling you to extract dust from any power tool with a collection shroud and suction port! Latest technology hose. 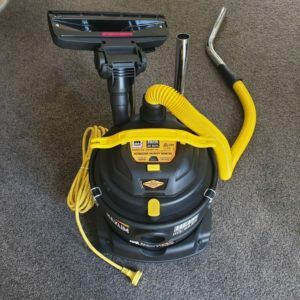 Extends to 5 times its length for operation and automatically retracts for storage. Impossible to kink during normal operation.